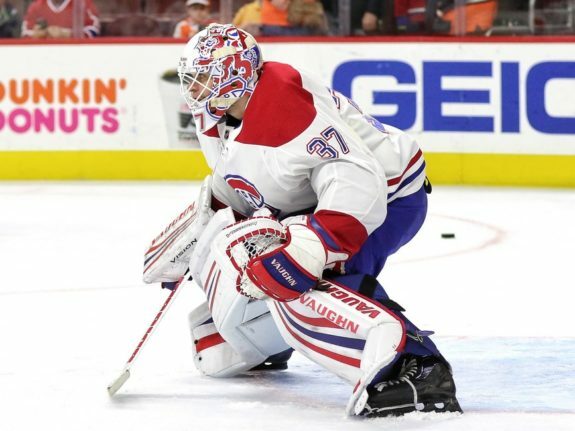 SUNRISE, Fla. — Tomas Tatar scored twice, including the go-ahead goal in the third period, and the Montreal Canadiens beat the Florida Panthers 5-3 on Friday night. Montreal scored twice in the first three minutes. Tatar capitalized on a turnover by defenceman Mike Matheson behind Florida’s goal to backhand in his 13th goal just 35 seconds in, and Victor Mete’s long shot struck Deslauriers and flew by Luongo for his second goal at 2:51.